Get into Bible reading in a new way with The Message®, a paraphrase of traditional Biblical writings. This translation uses none of the rigidly proper language of other translations—it feels like you’re reading a letter from a family member or an old friend. The language is simple but not simplistic, which makes it easier for you to apply your reading to your personal life. 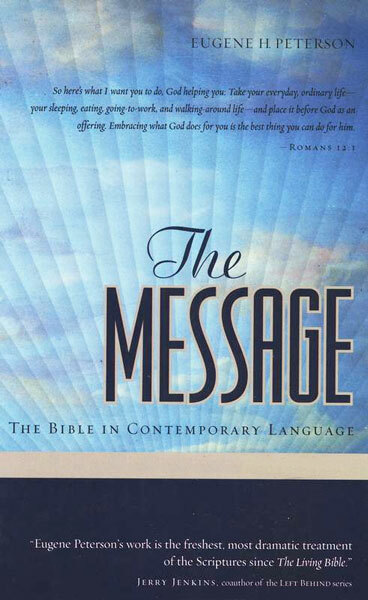 If you already have a Bible, The Message® is not meant to replace, but complement it in a refreshing way. If you don’t own a Bible, consider using The Message® alongside one of our other Bibles as an accessible introduction to God’s love for you.